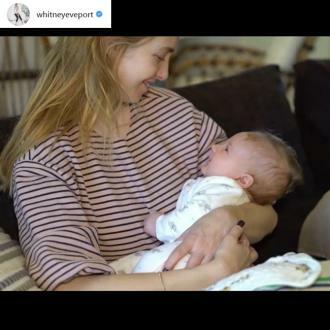 Whitney Port has been struggling to breastfeed, and experiences ''incredible pain'' whilst trying to feed her son Sonny. 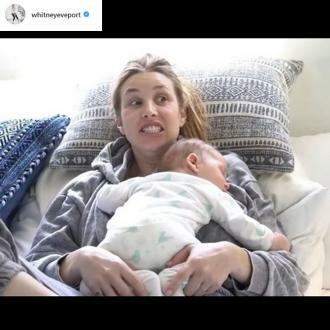 Whitney Port has been struggling to breastfeed. 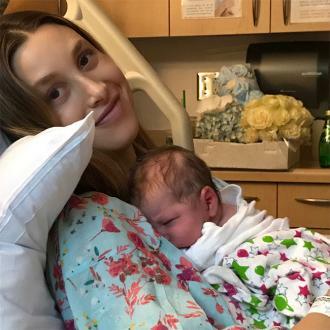 'The Hills' star welcomed her son Sonny Sanford - whom she has with her husband Tim Rosenman - into the world almost a month ago on July 27, and although she is thrilled to be a mother, she admits she's suffered ''incredible pain'' whilst trying to breastfeed her tot. Whitney explained that whilst her original attempt at getting Sonny to latch onto her breast when he was first born was ''good'', things took a turn when she brought her son home. Speaking in her 'I Love My Baby, But...' series on YouTube, Whitney said: ''I totally went into this whole thing with the intention breastfeeding, and I really wanted to breastfeed. I'd heard that it obviously doesn't come easy to a lot of people, but I was willing to try and still am willing to try. The 32-year-old television personality then revealed she spoke to a lactation consultant, who told her Sonny's tongue was restricted, meaning he was sucking harder or biting in order to get the milk. Whitney took Sonny to get his tongue clipped to rectify the issue, but she's still ''anxious'' of the ordeal because she doesn't want to give up and start feeding via a bottle. She continued: ''I tried it yesterday morning once he had the procedure done and then I tried it this morning, and it's just -- it's really painful. I'm not sure whether if it's painful just because I'm getting started again, or if it's painful because he's not latching on correctly. ''I feel like a lot of people are going to tell me to just have patience and try to do it 'cause it's only been a week. But I just don't know if it's something that is going to get better or not. So that's what I feel anxious about. Like, how much longer am I willing to try it before I just give up on it and just pump and give him the bottles and be okay with it?